Say goodbye to stress for good! It’s a fact - stress kills! Yet, so many of us find ourselves stressed out, day to day. However, if you are feeling anxious, find it hard to relax or perhaps struggle to get rid of that constant mental ache, let celebrated life-coach and mentor Benjamin Bonetti show you how to chill. In his latest title, How To Stress Less, Benjamin shows you how to combat stress by taking action and intentionally rejecting it when it rears its ugly head. 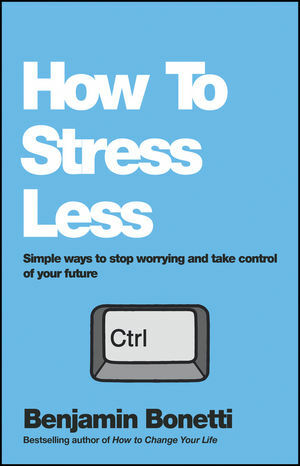 How To Stress Less provides you with an easy to follow guide to help you effectively release and manage everyday stress that can seriously affect your health. Benjamin does not promise to wave a magic wand to make your troubles disappear. Rather, he addresses the impact of stress and helps you deal with deep-seated issues surrounding common reasons we find ourselves stressed out in the first place. Benjamin Bonetti is an international bestselling hypnotherapist, self-help speaker and entrepreneur, who has written and produced a variety of motivational and behavioural-change multimedia products, particularly in audio format – selling over a million. He has a 10% market share of the Top 100 bestselling Personal Development products in iTunes, Audios, Audible and Amazon. Benjamin also conducts seminars focusing on the power of positive thinking, where he utilises Hypnosis and Neuro-linguistic Programming.